Includes a FREE copy of my Vegan Fitness Foods E-Book ‘For a Lean Healthy Body!’ That’s almost 200 pages of BOD Vegucation! 2x Beginner training programs included. Meals are easy to make – you can prep 4-5 days of meals in just 2-3 hours a week! No personalised programming or support is included in this package. Once purchased, you have 14 Days to download the eBook before the link expires. Do NOT download to a mobile device, best to download to a computer as the VGN BKI BOD Bible is a large file. The e-book links will be sent automatically to you. Once the e-books have been emailed and the download has begun, no refunds or exchanges will be issued. If you haven’t received your e-book instantly, please check your SPAM/JUNK folder as your email settings may pick it up as spam. The VGN BKI BOD BIBLE & VEGAN FITNESS FOOD e-books are HUGE files; therefore, it is NOT recommended to open/download to your MOBILE devices. We recommend download to your computer first, with good internet speed/connection/storage space. Once the e-book is downloaded, you WILL be able to then download to a second app device. Please install iBook’s or a similar app to keep the e-book saved for future access. If for any reason you misplace, lose, exhaust your download limit or the e-book file becomes broken, we are unable to replace the eBook. Therefore, a re-purchase of the product will be the customer’s responsibility. I am currently not exercising. Can I start the VGN BKI BOD Bible exercise plan? YES! The VGN BKI BOD bible is designed for all stages of health and fitness from beginners, to those more advanced who want to get back on track, or those who want to transition to a vegan lifestyle! Can I use this Bible to get Bikini Competition ready? 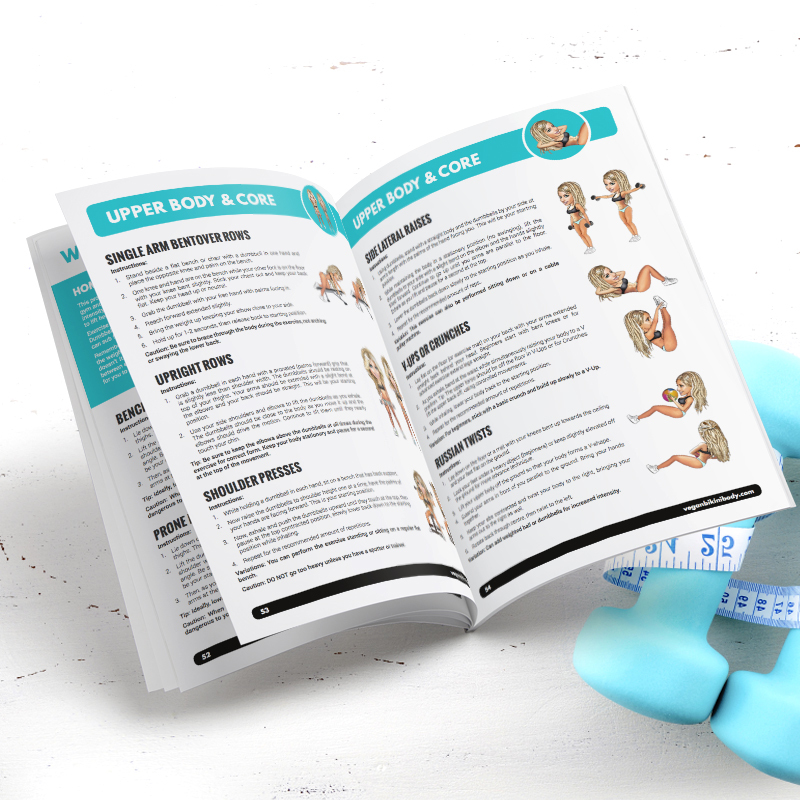 Whilst this is NOT a program designed to get ‘stage ready’ for a competition, you can certainly start your journey by following the VGN BKI BOD Bible! You will learn 3 different meal planning techniques to help you reach your goals. The training plans included will help to develop muscle tone, but are not advanced enough for competition prep. Is there any support or coaching included? Will Crissi answer my questions or queries? I am not vegan, but want to transition to a plant-based lifestyle. How long will it take for me to feel better after I start following the VGN BKI BOD Meal Plan? Transitioning to a plant-based diet may seem like a drastic change for you at first. Some people feel better right away and will experience increased energy, a feeling of satiety, better sleep and more regular number 2 stops to the bathroom!!! Other people do go through some challenges, such as withdrawal from MSG, artificial sweeteners and refined foods—yes, we do get cravings for these things. You may feel a little bloated for the first week or two as the increased fibre intake fills you up and then travels through your body doing a massive sweep through your intestines – so embrace the spring clean out! I want to lose fat. If I buy the VGN BKI BOD Bible, how long until I SEE results? With any new lifestyle change, whether in food, exercise or work, results take time and consistency. Most people start to see changes in as little as two weeks. You should feel leaner, more energetic and lighter, and you will notice your whole body starting to tighten and your clothing getting looser! For the fastest results, stick to one of the meal plan options, or even combine the protocols of each and try to hit your targets 100%. We recommend tracking your progress by taking body measurements (e.g. chest, waist, hips and upper legs) and progress pictures, as weighing yourself is NOT the best way to measure fat loss. Is there enough protein in recipes for me to build muscle? For all the protein warriors/worriers out there, the answer is a big YES! Many of my clients GET LEAN and increase their muscle mass following these meal plans and recipes. The amount of muscle you put on will come down to how HARD you train and how MUCH you eat! Make sure you’re covering your basic needs daily, and watch yourself evolve! I recommend eating when you’re ACTUALLY hungry. There are NO ideal times, as everyone leads a different lifestyle. Plant-based diets are high in fibre and most of my meals are also low in fat, so they digest within 1-3 hrs. I would gauge how hungry you are about every 1 – 3 hours to decide when to have your next snack or meal. Can I eat Vegan Fitness Food higher-carb recipes and still lean up? Oh yes!!! I use many of these higher-carb recipes while competing; this is how I developed them all! These amazing recipes will fit perfectly into anyone’s lifestyle, whether a person is active or not, or vegan or omnivore; there is so much variety for sustainable living. 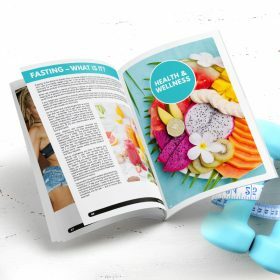 Why should I purchase this book over any other fat loss program? First, this is a wholefood VEGAN fat loss program, which means it’s healthy for YOU, better for the planet and a compassionate way to save animals’ lives. This bible will also save you money $$$$: most of the meals will cost you only about $2.50-$4 each. 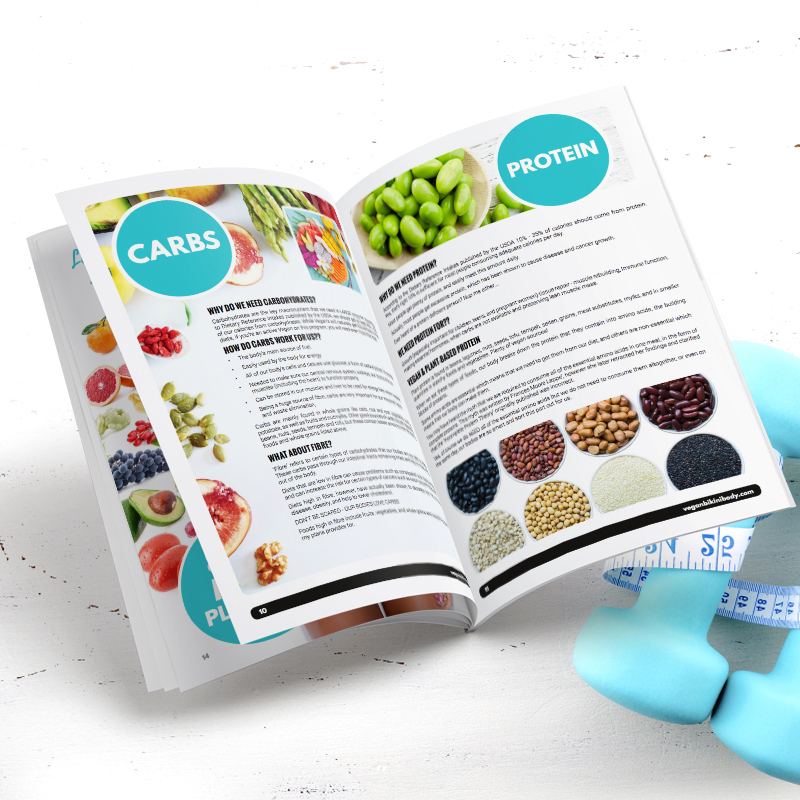 You also get a BONUS copy of the Vegan Fitness Food E-Book to help you with meal prep, ultimately saving you time! Lastly, as the old saying goes “the proof is in the pudding”! 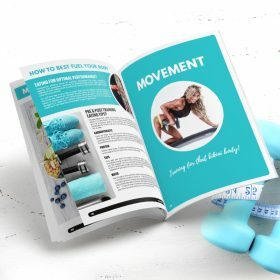 My clients over the years and myself have all followed the guidelines laid out in the VGN BKI BOD Bible and I have seen so many amazing results. If I don’t reach my goals, can I get a refund? Once the VGN BKI BOD Bible has been downloaded, NO Refunds, Credits, Transfers or Exchanges can be given. If I get confused, can I upgrade my purchase to a more supportive and/or coaching program? Please email us at info@veganfitnessmodel.com should you have any questions about upgrading your program, and either a VFM team member or Crissi will reply within 48 hours.